On Wednesday, December 12th, John Horrigan will present a lecture about the tragic destruction and the great heroism in the midst of one of the worst storms in New England’s history. On April 16th, 1851, a fierce nor’easter tore into Cape Cod Bay and brought the highest tides ever seen in this region up to that the time, easily exceeding the legendary high tides of 1723. That evening, the newly-constructed Minot’s Ledge Lighthouse, off the coast of Cohasset, was pounded by gale force winds and torrential rain, which weakened the tower’s iron support stanchions and eventually caused the edifice to topple into the boiling surf. The lighthouse keeper (John Bennett) had been in Boston at the time of the storm and had left two assistants, Joseph Wilson and Joseph Antoine, to mind the tower during his absence. At dawn the following day, as Bennett gazed out at the ledge, he could only see bent iron pilings where the lighthouse once stood. It was a tragic yet heroic story, as his two assistants managed to keep the lighthouse lamp burning as late as 10:00 PM, and somehow managed to ring the fog bell one last time, before they were swept away in the breakers. 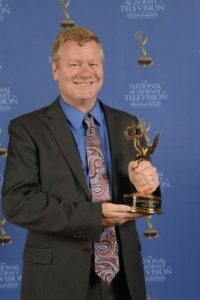 Join five-time Emmy Award-winning folklorist and historian John Horrigan as he presents “The New England Lighthouse Storm”. John Horrigan holds five Boston/New England Emmy Awards as creator, host and writer of ‘The Folklorist’ on Boston television. His historical accounts integrate history, engineering, and the arts. 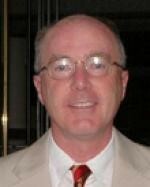 His other job titles include program manager at Analogic; professional sportscaster for the Bruins Alumni and New England Patriots Alumni, and historic researcher and lecturer.